Tony Razzell captured this image of Saturn on the 28th April 2011. He used a Celestron NexStar 4SE (100mm) telescope and a TouCam web camera with a x2 Barlow. 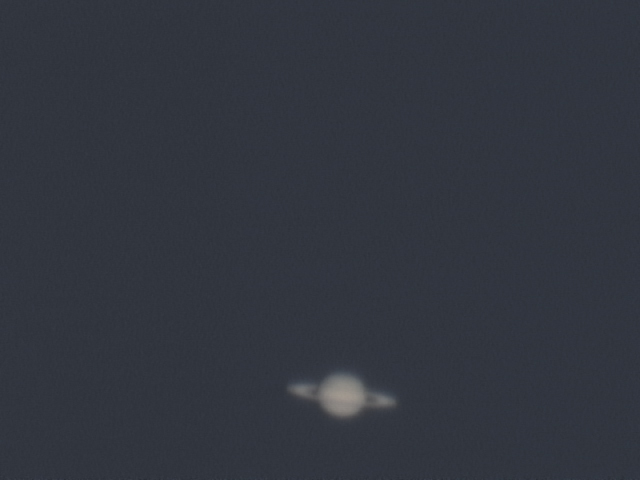 Ten seconds of video were processed using Registax 5. Tony comments that the seeing was poor and the transparency not that good.